A rite of passage for many a stylish New Yorker who loves design is to wait in line for sale bedding at D. Porthault’s twice yearly sale. 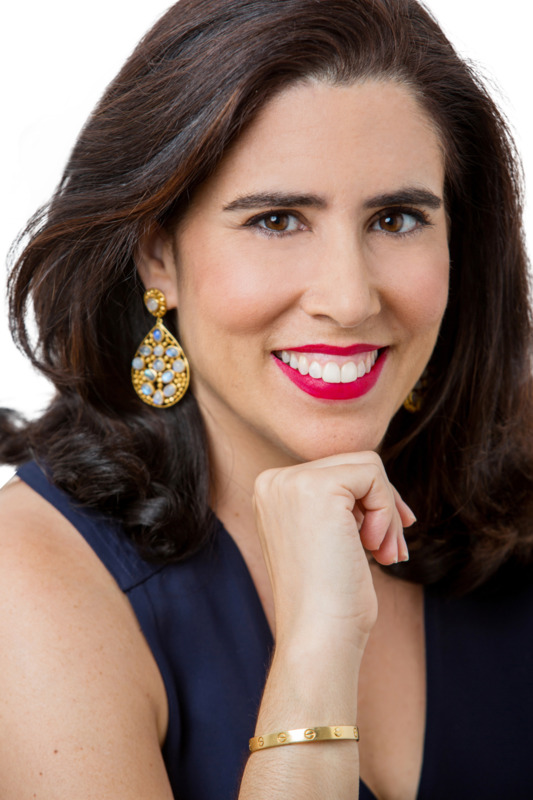 Seeking beauty for the bed, bath and table, design denizens, hostesses and entertaining experts flock to Park Avenue to wait in line, rain or shine. 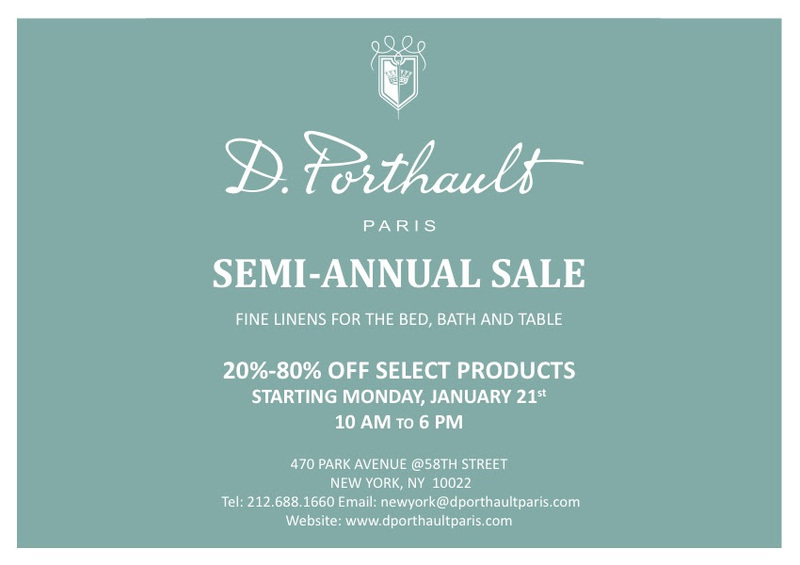 For the uninitiated, D. Porthault is an old-world bedding company started in the 1920’s in Paris that makes printed linens that bring you (me) joy. 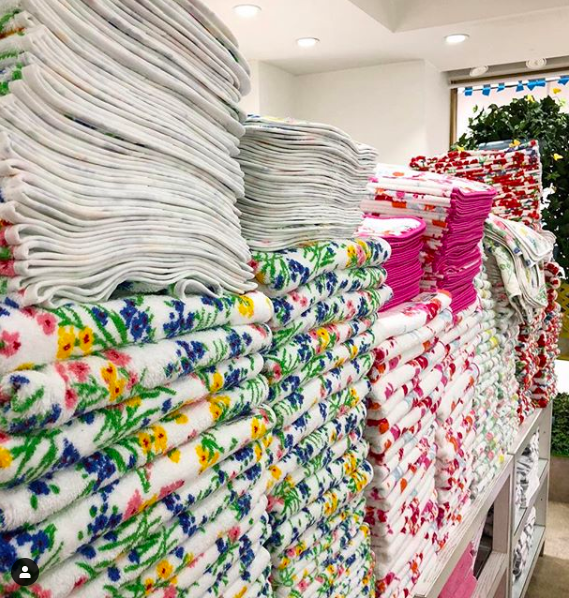 Favored by Jackie O and the old guard soignee set, their signature colorful floral printed linens are collected over years (the older the better), and get better with time. Their flowery prints come in a wide array of colors, mostly in pinks and blues, but expect a bright pairing or two that will perk up an all white bed or a white tiled bath. I have a soft spot for the boudoir pillows and Euro shams, and just love how they make a bed feel cozy and crisp. One can never have too much of this good thing. Not in New York? You can shop online here. 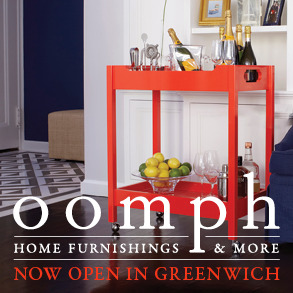 Every July, designers gather on Long Island for the Hampton Designer Showhouse. Presented by Traditional Home Magazine and benefitting Southampton Hospital, the showhouse, which will take place in Bridgehampton in a home built by Barsalin Building & Design, gathers designers from near and far to transform rooms. The showhouse gala is July 21st and the house is open until Monday September 3rd. I am pleased to share the list of this year's participating designers. Congratulations to all, and I look forward to seeing what you create this summer! Summer is here and I, for one, could not be more excited. We have had a harsh, dreary New York winter, and everyone is jumping at the first opportunity to get outside and enjoy the warmer temperatures. Since we didn't have a spring, it seems we will fast-track right into summer, the perfect time of year to be out of doors and appreciate this fleeting season. 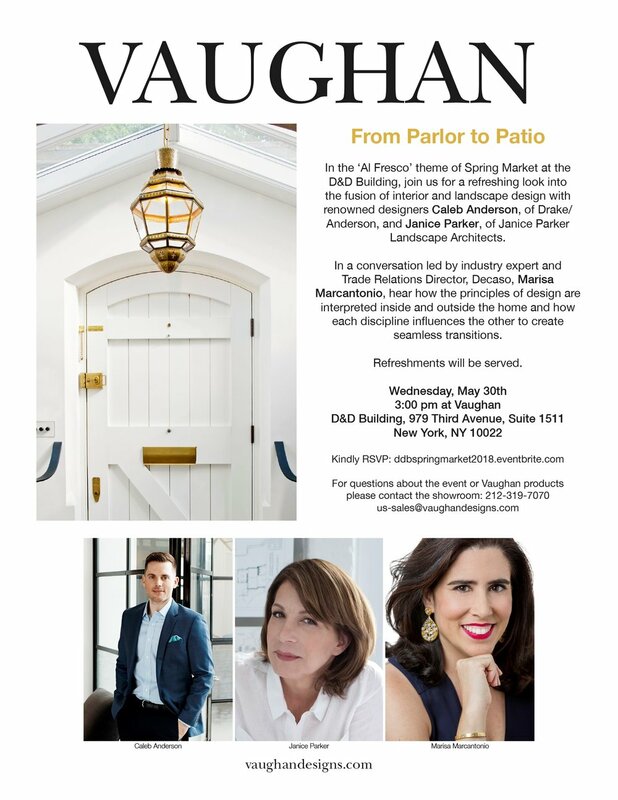 Join me and interior designer Caleb Anderson of Drake/Anderson and landscape architect Janice Parker at Vaughan (suite 1511) for the D and D Spring Market, as we delve into al fresco style, and discuss the process, the how's and why's of designing and lighting outdoor spaces to optimize. The event takes place at 3pm on May 30th. See you there! This Sunday, I ride in my 6th Cycle For Survival, a national charity event to raise money for rare cancer research that benefits Memorial Sloan Kettering Cancer Center. This annual spin event is like nothing else-- it is a moving day of hope (watch the video above to see more) and creates possibilities of living in a world where cancer is a thing of the past. I ride in memory of my father, and for friends that have dealt with this devastating disease. I adore this charity, and what they have been able to accomplish, raising over $27 million dollars last year alone, is truly awe inspiring. Thanks to the hard work and perseverance of founder Dave Linn, who lost his wife Jen to rare cancer 12 years ago, this organization raises a jaw-dropping amount to fund rare cancer trials. Jen lost her battle to cancer six and a half years ago, but her memory lives on and inspires others. Won't you support me in my ride, and help me reach my goal of raising $12,000 this year? Please click on this link to access my CFS page to donate. Sadly, Rare cancers touch most of our lives. Each and every one of us has the power to make a difference, so spread the word, join the battle, and let's beat rare cancers!